TCC specializes in custom cryptographic solutions for voice, data and video secure communications requirements such as the integration of national algorithms, embedded security for OEM systems, cryptographic tools and training for algorithm modification, and joint technology ventures. Cyber threats continue to increase in volume and sophistication. Securing communications is no longer an option; it is a critical part of a cybersecurity strategy. TCC collaborates closely with our customers and partners to design, develop and integrate custom cryptographic voice, data and video solutions that meet their unique system, network and country requirements. 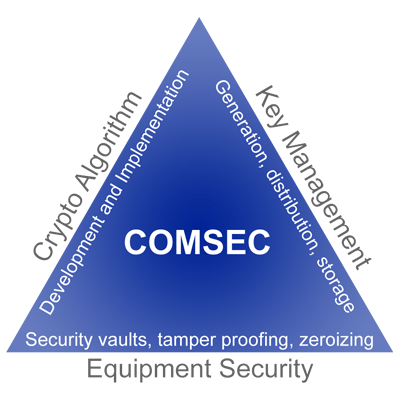 TCC's significant experience in the development of specialized, embedded encryption technologies is being applied to the built-in encryption needs of Original Equipment Manufacturers (OEMs) and suppliers of communications networks and systems. User requirements for communications security can be effectively met with the use of TCC's encryption technologies integrated into our partner's communication equipment. TCC supports cryptographic industry and government standards as well as customer-specific specifications. Embedded security adds value to and differentiates our partner's communications systems. TCC designs and develops solutions with standards-based algorithms (e.g., AES), TCC proprietary algorithms and national algorithms. TCC also provides tools and training to enable customers to modify algorithms. National algorithms or customer-modified algorithms are ideal for those customers who would like or require by policy an additional level of control and privacy of their secure mission-critical network. Our established NASP program is designed to enable a private encryption algorithm to be collaboratively developed and then integrated into the encryption platform. Our program uses proven best practices from years of experience and offers various solution options to meet customer-specific requirements. TCC has designed embedded secure radio encryption solutions, national algorithms for military data applications, cryptographic modules for National Secure Mode Identification Friend or Foe (IFF) systems, as well as rocket-borne telemetry encryption modules, and country-unique secure telephone and fax algorithms, to name a few. TCC has also partnered with network and telecom equipment providers to add security in unique applications. TCC’s team of cryptographic and telecom engineering experts are involved throughout the solution’s life cycle, from performing the requirements analysis and engineering design, to providing integration or installation, training, tools and other services. An algorithm alone will not provide strong security — It must be a part of the multilayer security architecture. With a TCC custom crypto solution, you can be confident that your solution is built on a solid security foundation with strong key management and designed by experts for absolute security. TCC's solutions meet CipherONE Optimized Network Encryption best-in-class criteria for maximum cryptographic strength and are optimized for performance and ease of use for our customers. From multiple layers of protection, support of government and industry standards, hardware-based security and robust key management, to ruggedized MIL-STD solutions designed for high error and jamming environments or exceptional voice quality over degraded line conditions, TCC's solutions meet the most demanding customer environments. At the same time, our solutions are easy to install, configure and use. They integrate seamlessly into existing networks, are user transparent and have automated, centralized key and device management. Dedicated to full service, TCC installs systems, tests them in the field, and works with customers to achieve 100 percent satisfaction. 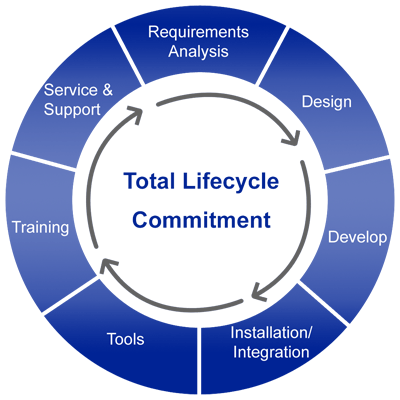 TCC's solutions are also built to last and are supported for their entire life cycle. The combination of built-in diagnostics software, and remote and on-site service maximize network up-time. Ease of use and automation are also emphasized in all of TCC’s products. This, combined with personalized on-site user and field service training, ensures reliable operation and communications protection. TCC's Customer Training program provides the information and instruction necessary to successfully use TCC products at their optimum capability for safe, reliable, trouble-free and user-friendly operation. TCC provides a comprehensive training package consisting of a balance of lectures and notes, enforced through "hands-on" lab exercises, followed by a review, and question and answer period for each subject covered. The lectures and exercises are carefully designed to provide the building blocks necessary to train the user in the operation, installation, and service of TCC's solutions. Classes are conducted in-country and/or at TCC's corporate headquarters.